Was under Bahmani dynasty in 15th cen. 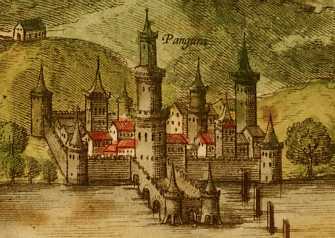 ; taken by Portuguese in 1510; became flourishing colonial capital of 200,000 inhabitants; cholera epidemics ravaged city & inhabitants fled to nearby village (modern Panaji) in mid-18th cen. ; many ruins remain.